Born in Buenos Aires and recognized as one of the finest poets and writers of Argentina, Betina Edelberg has dedicated her life to literary activity. Her poems reflect a rare intensity. In her verses the poet reveals the quest for the universal through events of everyday life. That may well be the key to her work. 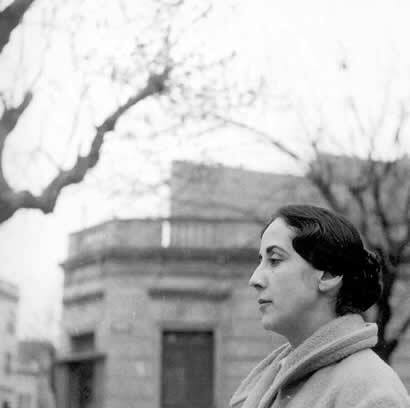 Alternating with her poetry, Betina Edelberg has taught French literature at the University of La Plata; she was secretary of the Institute of Medieval and Modern Spanish History at the University of Buenos Aires, also of the The Journal of Spanish History and, later, secretary of the Institute of French Literature. In 1960 she traveled to Europe on a scholarship from the National Endowment for the Arts to further studies on contemporary poetry. In France and in Italy she interviewed the major poets of the twentieth century. The following year she visited London invited by the British Council, and keeps fresh memories of the proverbial British politeness and cultural wealth of the City that was the theater of Shakespeare and unforgettable actors of Literature. Betina Edelberg has conducted research and delivered courses and lectures on poetry. Besides having won numerous awards for his work (Faja de Honor from the Argentinean Society of Writers -SADE-, National Trust Arts Award, among others), Betina Edelberg has also been recognized by her peers (she joined the Board of the SADE from 1952-54 and from 1955-57, she also integrated the Commission of the Argentine Center of the International PEN Club). A friend of Jorge Luis Borges, Betina Edelberg shared with him magical moments, intelligent conversation and was privileged to have coauthored a book on 'Leopoldo Lugones' (1955). They also composed together an original ballet, a spoken parody of dictatorships (based on the Peronist warlordism that Borges loathed), work to which they gave the title 'The lost image' (1953), which still remains unpublished because of the actuality in Argentina of the evil denounced in this work. Since her youth, Betina Edelberg formed a happy couple with Gerardo Lehmann, an engineer of French origin who also practice the love of literature and art of storytelling. 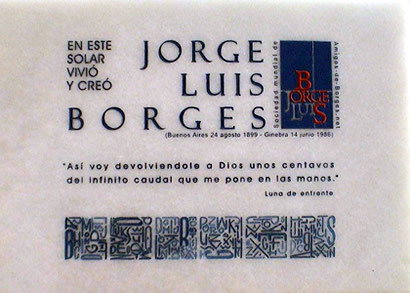 Both writers are Honorary Members of The Friends of Jorge Luis Borges Worldwide Society. In August 2002, Betina Edelberg coordinated a number of cultural events in Buenos Aires to celebrate the fruitful 'English' lifelong companionship between Georgie [J L Borges] and his 'beloved young master' Adolfito [Bioy Casares]. Two commemorative plaques made in the town of Maimonides and Averroes -donated by the Friends of Borges- were installed and inaugurated in two historic homes of the Quintana Avenue, where the literary couple celebrated begat, in their joyful intimacy, unforgettable characters of Literature. This public tribute ended with a symposium of literary personalities, chaired by Betina Edelberg, in the elegant French Club of Argentina's capital.